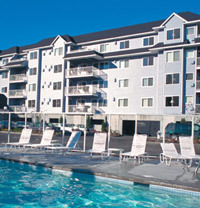 Your Birch Bay resort is much more than the jumping off point to Bellingham, Vancouver or Mt. Baker (each is less than a two-hour drive away); it’s a destination your whole family can enjoy. There are two pools, water slides and go-karts up the street, an ice cream shop full of treats and plenty of ways to get back to nature: take a ferry to Victoria, B.C., explore Nooksack Falls, go scuba diving, hike, bike, or rent a sea kayak. You can also play golf on the luxurious greens of two world-class golf courses. After a few days in your peaceful getaway, you won’t want your visit to end. Travel from sea to sky—that’s just one of the many benefits of a stay at Discovery Bay. 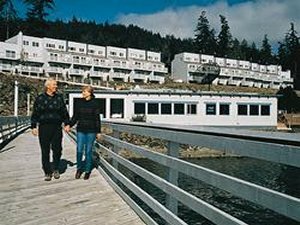 Situated near the end of a sinuous, saltwater cul-de-sac just off the Strait of Juan de Fuca, the resort takes full advantage of its location. Discovery Bay is like a condensed view of the Northwest, offering both ocean and mountain experiences. Take a walk along seven-mile Dungeness Spit for views of the Sound. Drive up Hurricane Ridge for a close up look at the Olympic Mountains. Hop on a ferry for a visit to Friday Harbor in the San Juan Islands. And, of course, just across the strait, an afternoon of crumpets and tea awaits you in Victoria, B.C., Canada. You’ll be astonished by the range of choices. But you may just want to sit back on your deck, grill up some salmon and look out over the bay—you know, become one with the sea and the sky. 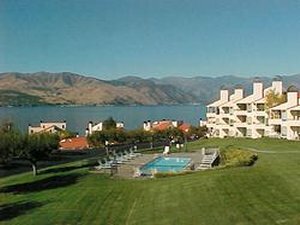 Lake Chelan is not your average lake. Resting at the foot of the rugged peaks of the North Cascades, this long finger of water points like a loadstone to a truly isolated parcel of America. Though the lake is 55 miles long, you can only drive half its length. Beyond the end of the road, snow capped peaks rise over 9,000 feet from the lake shore and thick evergreens cover the mountainsides—perfect for hiking purists. There is, however, an outpost of civilization at the upper end of the lake. The tiny village of Stehekin is accessible only by boat or float plane, and a must-see when you visit WorldMark at Lake Chelan Shores. If it’s pristine beauty and a multiplicity of outdoor activities you’re searching for, head for this deep, clear, mountain lake sparkling in the sun. With its charming Bavarian architecture, excellent schnitzel and the high Cascade Mountains tapping on its shoulder, Leavenworth might as well be in the middle of the Alps. But, fortunately, it’s just a two-hour drive from Seattle. 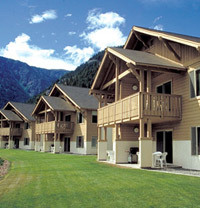 In addition to the Bavarian shops that line Front Street and sell traditional goods like cuckoo clocks and lederhosen, Leavenworth offers the breathtaking Icicle Creek area just a few miles from town. Here, trails lead to sheer cliffs (popular with climbers) and postcard-perfect alpine lakes. And don’t forget to take the path from the resort to town center. It follows the Wenatchee River and offers interpretive signs that illustrate the history of the region. Whichever way you approach it, a stay here adds up to the perfect vacation for the whole family. Fronted by a large sand beach that is one of the few you can actually drive on, your WorldMark Long Beach is ideally positioned for enjoying the cool ocean breezes and charming activities of Southwest Washington. Lewis and Clark ended their famous expedition to the West Coast nearby, and you’ll be glad you decided to make it your next destination. 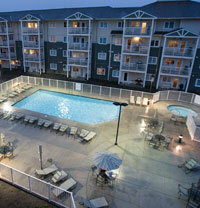 Once you’ve settled into your spacious, comfortable unit, take time to enjoy the resort’s many recreation facilities. Outside you’ll find a pool, spa and children’s pool, while the interior of the resort features a game room, recreation center, Fitness center, business center and gift shop. 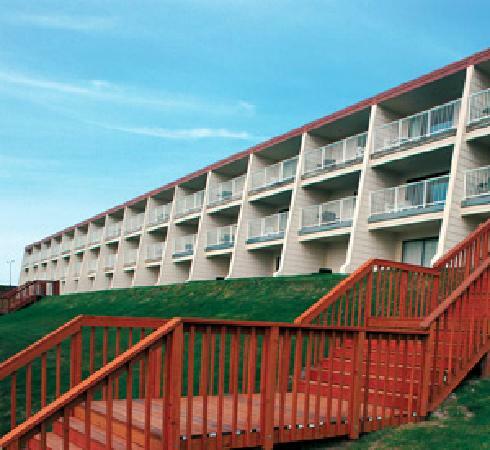 Beyond the resort, you can have fun exploring the numerous state parks, hiking paths and trails in the area. Learn the history of kites and kite flying at the World Kite Museum & Hall of Fame, or try your own hand at taming the powerful winds along the coast. Stroll along the popular Long Beach Boardwalk, stretching for half a mile and offering superb views and interpretive displays, or take a short walk into the city of Long Beach. Dig your toes in the sand and throw yourself into the wind—you've arrived at Mariner Village in Ocean Shores, Washington. City slickers from Seattle and Portland have long known what you’re about to discover: Take a long finger of sand, put it up against the endless expanse of the Pacific Ocean, mix in a little Northwest weather for drama, and you have the ingredients for a spectacular experience. In winter, it’s a romantic place to curl up by the fire or walk close together on an empty shore. Summer brings fair weather and all the beach you could want. Rent a scooter and ride on the sand, try your luck at fishing or take advantage of those windy days to fly a kite. Whether you're playing catch with the cresting Pacific waves (yep, wet-suited surfers love it here), or settling into the spa after a horseback ride, Mariner Village is the perfect spot to relax and rejuvenate. 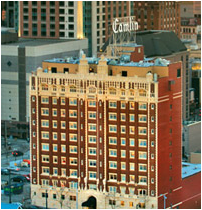 Before entering the WorldMark network, The Camlin had a long and distinguished history in downtown Seattle. It was first built in 1926 as a residential hotel and was updated in 1962; over the years many celebrities passed through its elegant lobby and spent time in the lounge that once filled the top floor. Meticulous effort has gone into retaining the charm that once made the building a beloved fixture in downtown Seattle while bringing in modern comforts to make your stay at this urban resort memorable. The resort is located across the street from the Washington State Convention Center and the Paramount Theater and is just steps from Seattle’s vibrant 6th and Pine shopping district. You’ll find world-class dining options plus all of the attractions of Seattle close at hand: the lively Pike Place Market, Seattle Center and the Space Needle, Safeco Field and the fabulous waterfront are all easily accessible. 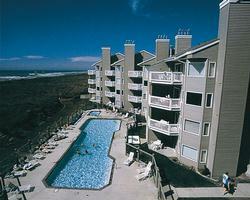 There are two seasons at the Surfside Inn at Long Beach, situated on a 28-mile stretch of sand along the Washington coast. Summer is like an action movie: golfing, go-carts, horseback riding, cycling, fishing, clamming, the Washington International Kite Festival or the SandSations Sand Sculpture Contest. It's all good fun the whole family can enjoy. Winter is an entirely different film. During this season, the resort becomes a front row event with storm watchers who bundle up and head for Cape Disappointment. Here, the drama builds to a climax as frequent squalls pound the incoming turbulent waves. And the welcoming fire back at the resort is the perfect romantic denouement. Which season is right for you?